PLEASE NOTE To buy our bags and belts you need to email us at mauricepearson@hotmail.com or phone on 07771949664 or 01326231322. You can pay by card over the phone, bank transfer or cheque. As we make to order it is important for us to understand your needs. 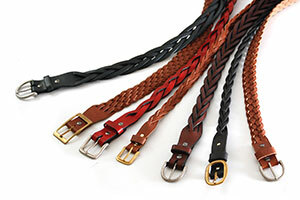 We can advise on which leathers are suitable for your chosen style and you can decide on the type and colour of fittings or buckles. We regularly source new leathers so colours change all the time and some have limited availability which is part of their charm. 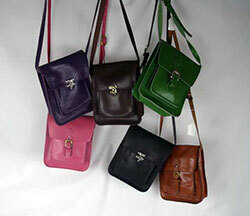 We are a small business selling leather products that we make ourselves. But also we offer a range of wallets, purses and raffia baskets, hats and sundries directly to the public across Cornwall through craft fairs, harbour markets and festivals. If you like our things and want to see more we would love to see you when you are next in our beautiful part of the world.